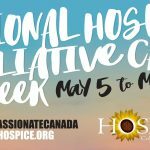 Truro, NS – This year, National Hospice Palliative Care Week runs from May 6-12. The theme for 2018, “Towards a more compassionate Canada, Eh?” encourages Canadians to consider ways community involvement can support the dying and bereavement process. 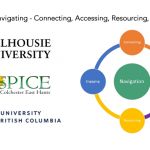 ​We are pleased to announce we will be offering 2 NEW Hospice Workplace Education program with Serena Lewis in Spring of 2018. 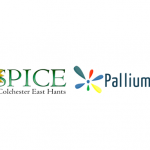 This year the Colchester East Hants Hospice is marking National Hospice Palliative Care Week with a full week of events and activities. All events are free or by donation! We encourage everyone to participate in helping us build a more compassionate community! CLICK HERE to download a copy of the poster detailing the weeks activities. We are pleased to announce we will be offering another Hospice Workplace Education program with Serena Lewis in Spring of 2018. Please Note: If you have previously taken this course, please share with your friends and colleagues! We have a winner! Congrats to Kate MacKeigan (#806) on winning $416.00! 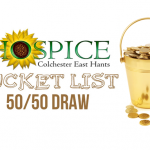 Next Draw: Wednesday June 13th 2018. A Death Café is designed as a safe, confidential space to share questions, fears and curiosity about death. 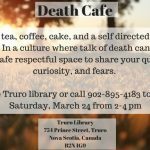 The Truro Death Café will be held at the Colchester – East Hants Public Library on Saturday, March 24, from 2-4 p.m., and will include tea, coffee and cake. 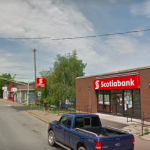 Thursday, November 23rd, 2017 join Scotiabank, Foodland, and Fulton’s Pharmacy in Tatamagouche in supporting the Colchester East Hants Hospice! A Daisy Day BBQ and Bake Sale will run from 11:00am-2:00pm in front of the Scotiabank on Main Street. BBQ supplies provided by the good folks at Tatamagouche Foodland! The team at Hospice invite you join them for an open house from 3:00-6:00pm on National Bereavement Day, Tuesday November 21st, 2017. Truro, NS – The Colchester East Hants Hospice (CEHH) is pleased to announce a free public talk with Pallium Canada’s, Bonnie Tompkins. 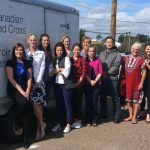 Pallium Canada’s Compassionate Communities National Lead, Bonnie is currently working to mobilize compassionate communities across Canada. 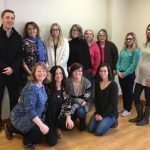 The Colchester East Hants Hospice and Pallium Canada are partnering to bring Pallium’s Compassionate Communities mobilization strategy and support tools to Nova Scotia. This free public lecture will take place on Wednesday, November 8th, 2017 at 7:00pm at First United Church, 711 Prince Street, Truro, Nova Scotia.